Survivor: Vanuatu (2004) - 18th place, 1st out. 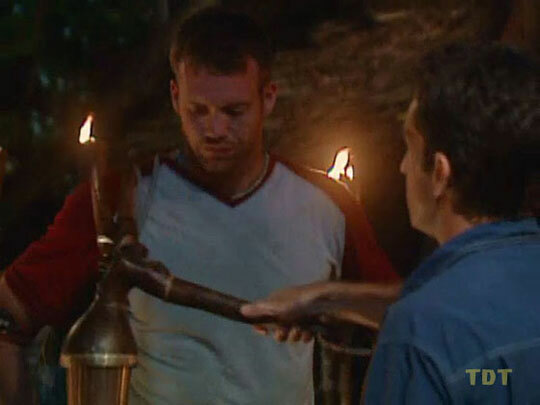 Voted out in Episode 1, "They Came At Us With Spears" (Day 3). Vanuatu Ep. 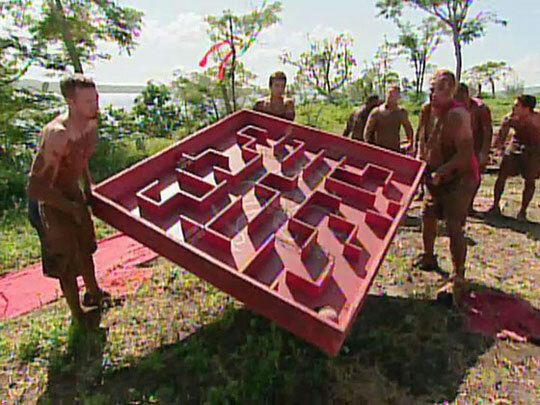 1 RC/IC: "Fire Starter" - Successfully works the table maze, but hanks to Chris's allergy to balance beams, Lopevi loses. Vanuatu, Ep. 1: Five votes, from Chris, Chad, Sarge, Rory, and Bubba (voted out, 5-4). Strategy talk with John K.
Rene Syler at CBS's The Early Show (9/21/04): "Bon Voyage, Brook!" Stephen Silverman at People.com (9/17/04): "Brook First to Go on Survivor: Vanuatu"
"Brook Geraghty was born in Bridgeport, Connecticut. He grew up in Winthrop, Massachusetts, a small town just outside of Boston. He attended Winthrop High School, where he played varsity soccer and hockey and graduated in 1995. Geraghty played hockey after high school, which led him to The Winchendson School where he became a member of their Division II New England Championship hockey team. In 1997, Geraghty played for a junior hockey team called the Boston Bulldogs. He then attended Bentley College where he also played on their hockey team and was a member of the 2001 senior class cabinet. While in college, he spent his summers working at a day camp for kids. Upon graduation from college, Geraghty traveled to Germany. Returning to the US, he became employed with a sales team of a Fortune 500 company. In his spare time, Geraghty enjoys playing ice hockey, working out and hanging with his friends. 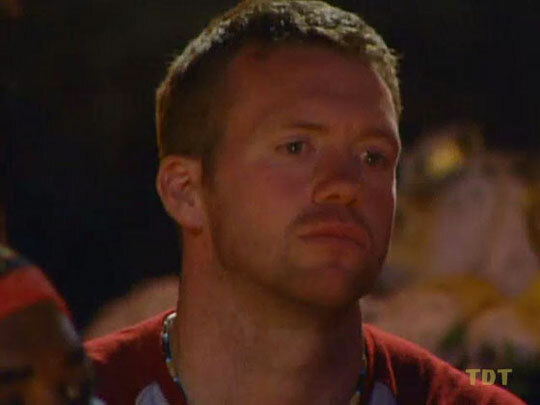 He is a self-described Survivor fanatic. Geraghty currently lives in Winthrop, Massachusetts His birth date is November 20, 1976."